Just like we are glad that you found this article worth praiseworthy, you should be glad, as well because MPSC Sales Tax Inspector Admit Card 2017 is on its way to being out in the forthcoming days. What kind of feeling do you have regarding the exam commencement as it is about to take place in the upcoming month? Have you asked yourself “Am I ready for the exam”? If not, do it now. It will make you realise that how much prepared you are for the exam. In addition, make sure you possess MPSC STI Mains Hall Ticket 2017 before you step out for the exam. Also, ensure to keep an eye on the official website as this would be done at mpsc.gov.in. Latest News (11.05.2017): We are hoping that the exam, by all means, was good and you did not face difficulty while appearing for the exam. It is obvious to every person who had applied for the recruitment that complete selection is based on "What You Do" in the Exam (Preliminary/Prelims, Mains), Personal Interview, and there will be a Document Verification round, as well. What we are trying to say is that clearing each round is obligatory. This is a step-by-step process - aspirants cracking the exam get to next round - interview, those who clear interview get another chance for next step - document verification. As you had downloaded Prelims Exam Hall Ticket, same you will be required to download MPSC STI Mains Admit Card, so get ready because only some days are left (Read latest news from the following window). To take part in the MPSC STI Mains Exam as scheduled to be conducted on 3rd June 2017, all contenders are contending in this competitive environment. Everyone is trying to get the upper hands over another person. But, let us tell you that only those who keep MPSC STI Mains Admit Card during the exam commencement would be entertained or considered eligible for the test. Latest Update: Good News! Previously, the Mains Exam was scheduled to be conducted on 28th May 2017. But, now it will be held on 3rd June 2017. However, there was no change in the Prelims Exam. For detailed notice, please download PDF at the last side of this page. The Department had successfully announced the Hall Ticket on its official website. As you know candidates were invited in 2016 for STI jobs. The latest update says the Maharastra PSC has released Hall Tickets on 18th January 2017 on its official website that you can see at the very bottom of this page and you can also check "Exam Date". You need to have important details at the time of downloading it. See such details below. Make sure you check out the Exam Pattern Details too. Please bookmark this page for upcoming updates on the by pressing CTRL+D using your computer and manually on Phones. Thank you! While downloading, you might be required to provide with your Registration No., Date of Birth (DOB), etc. It would be clear one announcement is done. Before we get to the point, let us jog your memory that this recruitment is exactly for the fulfilment of 181 posts of Sales Tax Inspector. Aspirants have to do everything according to the rules and regulation of the responsible authority. In the examination hall, mobiles or any other irrelevant electronic devices are strictly prohibited. So, try not to do that because if you do, you will get caught because the invigilators have always got their eyes on you. They know what you are doing while you are appearing for the exam. Also, remember to bring your MPSC STI Mains Admit Card 2017 if you want a successful presence/ entry in the test centre. Well, normally any hall ticket, whether it is for preliminary (prelims) or main exam is released in about 15-20 days before exam date. 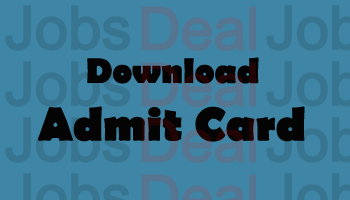 The prelims admit card is a highly mandatory document that every student who registered for the hiring should possess, otherwise, he/ she might get in trouble. So, get ready because the time that you all have been waiting for to obtain your Maharashtra STI Mains Hall Ticket 2017 is about to come. Whilst download process, get required details ready as you will be in need of them and enter as accurately as possible to avoid problems. The Examination is going to be conducted in 2 parts: 1st is called "Part 1" and the second is called "Part 2". There are total 200 Objective Type Questions (100 for part-I and 100 are for part-II) asked in the exam. The questions asked in the part-1 will be asked from the subjects which are GK, Marathi, English), whereas part-2 will be based on Aptitude Test. The applicants can download the "Exam Pattern" for Mains Exam with the help of the official link we are providing at the bottom of this page. Using these tips, they will be able to know what they have to do in order to get good grades in the examination. What are the mistake they should not do and avoid the same and more. With the intention to get your hall tickets successfully, what you need to do is go to the official web link, which is “mpsc.gov.in”. There, you are required to check out “Admit Card”, “Hall Ticket” section. Then, carefully get the meant link and provide with the data. So, next step is to submit the entered data. After entering, you have to download E-Hall Ticket finally. Make sure to visit the link below to download MPSC Sales Tax Inspector Admit Card 2017 and leave comments to let us know how your experience was with it. Dear friends, you can also grab other updates on syllabus, exam pattern, results, answer keys, etc. Please keep visiting us!